This was the second holiday season I have been making things with fabric. Both years I decided to make handmade gifts. Of course, this meant I was madly dashing to get things done. I never have enough time! I always think I can manage what I have planned and it never seems to be the case. I still have a pile of UFOs from this year and last year! One last unfinished placemat and all these half-made bowl cozys! Thankfully I did finish a few of the Bowl Cozys and people seemed to be happy to receive them! 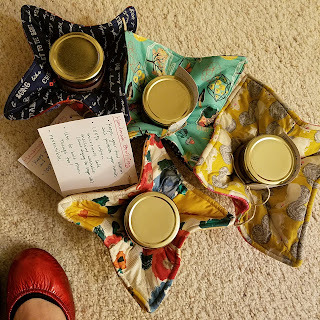 It is difficult to know if they "mean it" or are just being nice, but I think most people like the concept so I hope they are enjoyed by the recipients! I had wanted to make two or three for each person but that definitely did not happen. I probably could have finished up a few more on Christmas Eve, but I decided to prioritize going sledding with my family instead. This was no doubt the right choice, we had a blast and made memories together. I added some Fruit Spread made by my friend at Mt. Hope Farms. I haven't tried it myself (not on my food plan!) but everyone I have talked to that has raves about it. Check out their Facebook page she is doing some great videos with fun and unique recipe ideas. I am off work this week and really need to spend most of the week cleaning the house. But I will probably spend much of it sewing of course. I've got a few bee blocks to make and am so close to being done with my Wayward Transparency Quilt (just need to add the corners!). 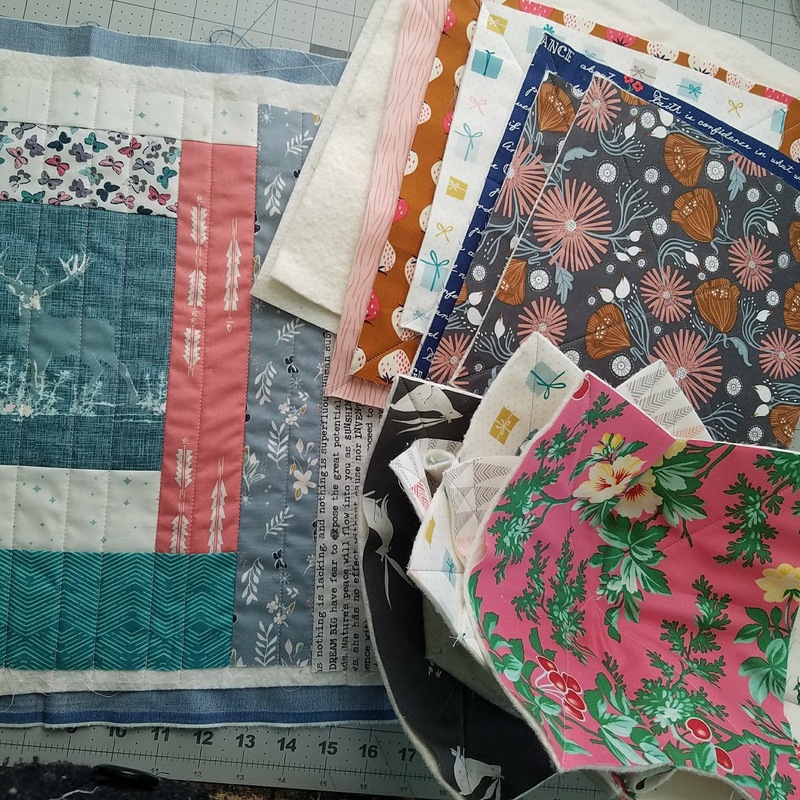 I'm debating about joining the Elizabeth Hartman All the Animals Sew Along hosted by Gnome Angel but I also have a few other quilts on my mind that might take priority. My Garden Snails Quilt is needing finished, and my Sew All the Curves Quilt is calling me still. 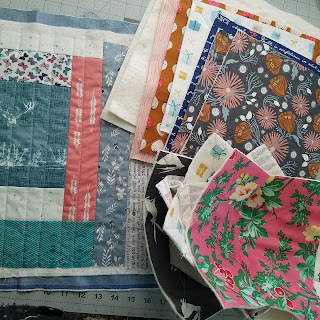 And I want to finish quilting my #100blocks100days2017 quilt. I love it, but quilting it on my tiny little machine is so much work!!! Wish me luck on my cleaning!